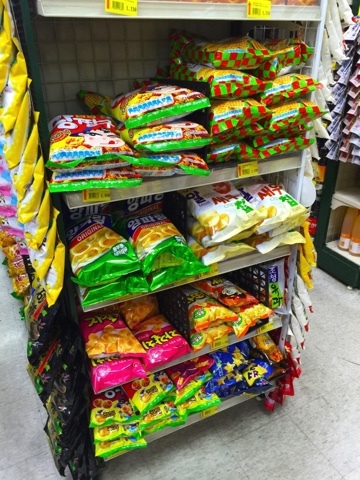 Once you go korean snacks, you can't go back! 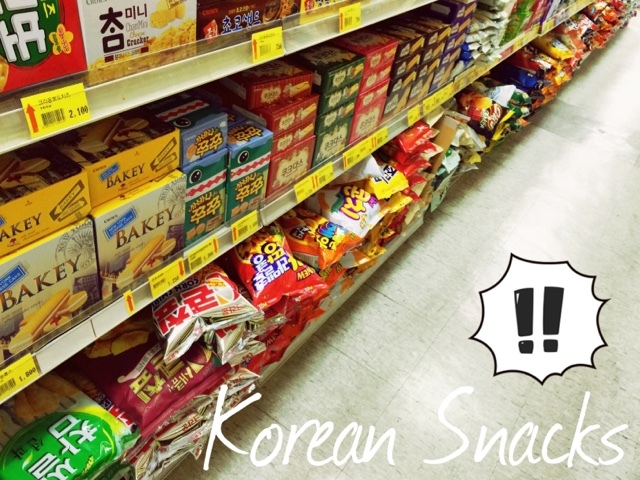 There's something about korean snacks that makes you conclude its superiority over others. Just look at the variety! The colors and flavors. You can choose from the more naturally made options to the "I'm pretty sure that's MSG laden" bags of naughty devils. The choices are abundant, especially flavors and in quality. From brownies that could compete with Starbucks pastry selection, chocolate tarts mini sized and delicate in taste, sweet potato crunchies with the pendulum balance of sweet, salty and crunchy, to the notorious potato chips that beats Lays regular potato chips any day (just compare eating the two together in one sitting and you'll realize how your tongue has been fooled or perhaps salted with the abuse of blatant salt content and nothing more, well perhaps salty and oily describes Lays perfectly). 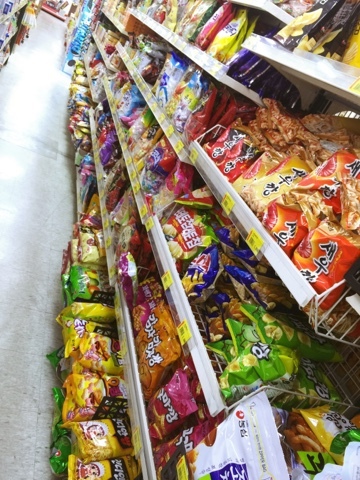 I don't feel as bad eating korean munchies. Most of the time, it doesn't feel like I'm eating "junk food" - which can be a negative negative negative. However, this I will always I appreciate here. I can always take comfort in going to the snack isle and know that I'll find something that will satisfy my earthly desires.